Ex-Razorlight. Drummer. Radio 2 playlist. None of these things exactly get your fingers twitching to search iTunes or busting the cellophane off the CD wrapper with your teeth in order to get at the debut record from former Razorlight sticksman, Andy Burrows, aka I Am Arrows. However, despite these damning adjectives, you’ve instantly got to admire anyone who’s seen enough sense to ditch the Dylan wannabe, Dunst-banging, Knofler soundalike egomaniac that is Johnny Borrell. It’s enough to make us want to score him an instantaneous ten out of ten without even listening to the record. 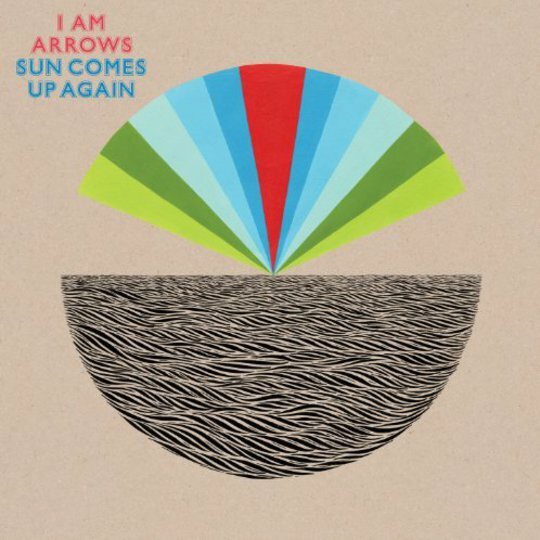 Recorded at Eastcoate studios, Sun Comes Up Again is I Am Arrows’ first official debut album after a low key mini album The Colour Of My Dreams, released in 2008, the year before he left Razorlight. Produced by Eliot James - who has twiddled the nobs for Noah And The Whale and Bloc Party- it’s all Burrows’ work, literally, every single instrument, vocal and bleep is his. It’s inevitable that, considering Burrows didn’t leave Razorlight on good terms, his debut is going to be combed for references to his former bandmate. 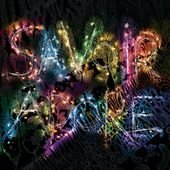 On surface value, it seems like the record is Burrows’ self therapy - coming to terms with his estrangement from Razorlight and the prospect of his future after the band as, on 'No Wonder', he muses to himself: “Now you fight with no wonder. And now you fight for no one, are you sure your spark has died forever. Are you sure, you sure, you’re over?” It's a record that’s painfully vulnerable and takes in a lot of soul searching; is this really all about Borrell? You can read that into it, but let's be honest: probably not. If anything Sun Comes Up Again seems to be an attempt for Burrows to find his place as the recurrent lyrical theme of home surfaces again and again, first on single ‘Green Grass’ and then later on in the ELO smoothness of ‘Another Picture of You’. The emotional rawness of the record comes through as he explores the loss of love on ‘Hurricane’, with escalating interwoven harmonies,: "I miss your love again. And, if I don’t feel your love again. Then I’m over, over”. Burrows has been open in his preference for lyrical simplicity - writing from the heart rather than the head – but his honesty can slip into a quarry of clichés at times, like the lyrical refrain "if you think I’m looking a little grey, then it’s just the way I’m feeling these days" on ‘The Us’. Musically, Burrow’s influences hark back to the seamless Seventies gloss of ELO, Supertramp and Wings. The chunky thudding piano beat and melodies on ‘Nice Try’ and ‘The Us’ would have Gary Barlow and the Hoosiers in a full on fist fight to get on the next Morrisons ad. But, another clear influence, which casts an unflattering shadow on the record, is Elliot Smith. 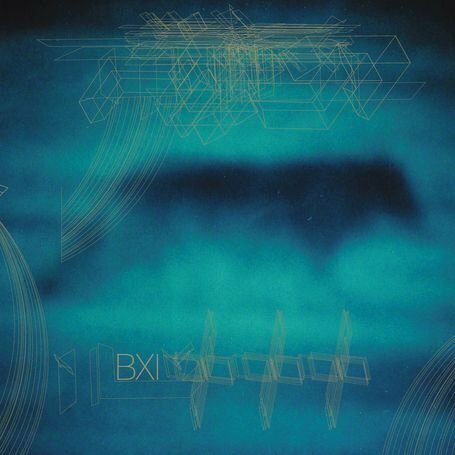 The similarities are so painfully obvious that it makes you lose focus on Burrows as an artist, as you crave Figure 8 rather than what you’re actually listening to. It might be just because Burrows has the same fractured harmonies and love of The Beatles as Smith: ‘You’ve Found Love’ is as much indebted to George Harrison in sentiments and acoustics. The record’s also hindered by Eliot James’ overproduction and maybe Burrows’ need to prove himself as an adept musician. A lot of the tracks are cluttered with over-instrumentation or the sloppy introduction of surplus synths and bleeps. ‘Green Grass’, for instance, with its tinny beats and busy percussion, sounds like Hot Chip’s ‘Ready For The Floor’ if Joe Goddard had used a Fischer Price keyboard. And, the intricate rhythms of ‘Nun’ are lost under awkward buzzing synths and a ‘waah’ moog noise not heard since the heady days of Britpop and the Supernaturals. Where, Burrows really comes through on Sun Comes Up Again is when he starts to be himself and strips the production right back to the bare bones. ‘Battle For Hearts And Minds’ builds from a unabashed country swagger into a fragile pleading falsetto, whilst ‘Bruises’s complex trippy beats and rhythms wrap naturally around Burrows’ tense melodies. The I Am Arrows project clearly has potential, but at 14 tracks, Sun Comes Up Again can feel like a trudge through the outback of mediocrity rather than an exciting exploration into new territory.